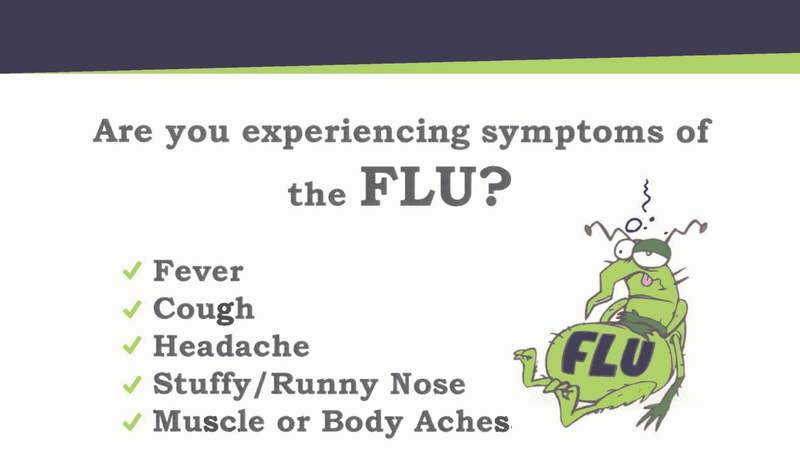 Are you experiencing symptoms of the Flu? Fever, Cough, Headache, Stuffy/Runny Nose, Muscle or Body Aches. You may qualify for a research study of an investigational test to detect the Flu. If you agree to volunteer, you will have two (2) samples collected from your nose during today's office visit. Ask your doctor during your visit today or call 951-755-0222 and ask for the research department to learn more information. Compensation for time will be provided for those who qualify and participate in the study.